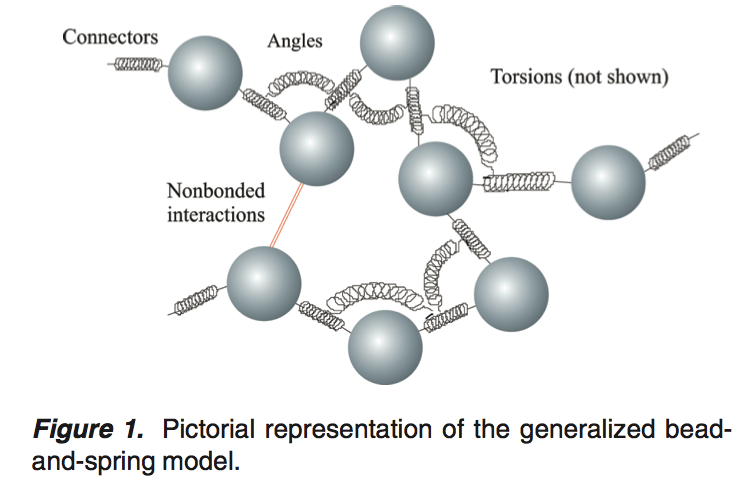 Brownian dynamics simulation and solution properties calculation of flexible bead and connector models of macromolecules. Program can be downloaded from here. J. García de la Torre, J.G. Hernández Cifre, A. Ortega, R. Rodríguez Schmidt, M.X. Fernandes, H.E. Pérez Sánchez, R. Pamies, (2009) “SIMUFLEX: Algorithms and tools for simulation of the conformation and dynamics of flexible molecules and nanoparticles in dilute solution”.Journal of Chemical Theory and Computation, 5, 2606-2618. H.E. Pérez Sánchez, K. Tatarenko, M. Nigen, A. Imberty, Hs. Lortat-Jacob, J. García de la Torre, C. Ebel, (2006) “Organization of human interferon gamma heparin complexes from solution properties and hydrodynamics”. Biochemistry, 45, 13227-13238.